The PlayStation Move controller has always held quite a bit of promise in my eyes. The combination of better-than-Wii Remote accuracy with high definition, more powerful hardware has teased me with thoughts of what could be, but the reality of what we’re given has almost always let me down. 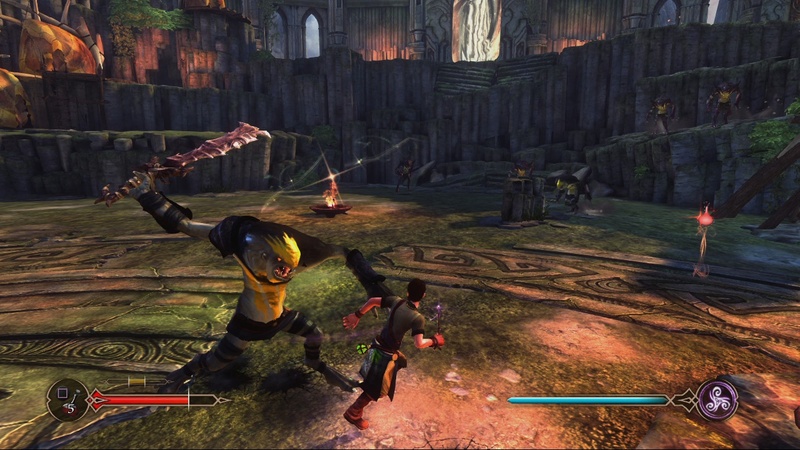 Though I’ve often appreciated the optional Move support bestowed upon many PS3 titles, I don’t think it’s much of a stretch to say that the existing crop of Move-specific games has been predominantly underwhelming. Sorcery breaks that pattern. 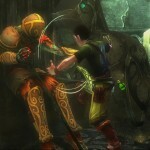 Although it may not usher in a huge flock of new motion control supporters, Sorcery is easily the best PlayStation Move game to date. Sorcery wastes little time getting to the spellcasting. Players assume the role of Finn, the young, brash apprentice to an older, more powerful sorcerer named Dash. While his mentor is away, Finn and his talking cat companion poke around the tower and stumble upon a magic wand and a mysterious potion. After fumbling around with basic spellcasting in the yard for a bit, the two venture off to the realm of the dead, provoked by an underhanded dare from Finn’s feline friend. Mistakes are made, secrets are revealed, and before you know it, Finn and Erline find themselves tasked with saving the realm from a powerful evil queen. The fantasy-themed story and settings are a bit familiar feeling, but the relationship between the two protagonists keeps things interesting and helps to propel the exposition forward. Their playful, back and forth banter is genuinely funny. It rarely reaches laugh-out-loud levels, but the jabs and one-liners they lob at each other kept a grin on my face throughout much of the game’s duration. In fact, all the voice work in the game is fairly well done, even if the dialogue itself tends toward stale at times. 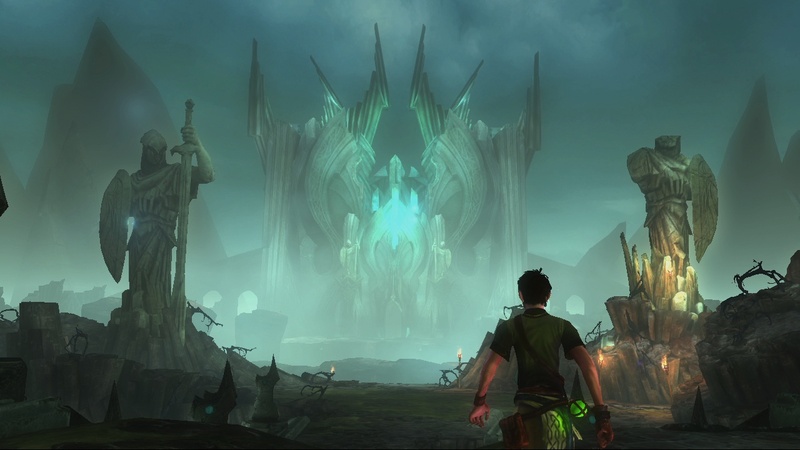 Interstitial storybook sequences advance the plot between playable sections, an increasingly common characteristic of first-party Sony titles lately. It meshes well here, in Sorcery’s fantastical world. 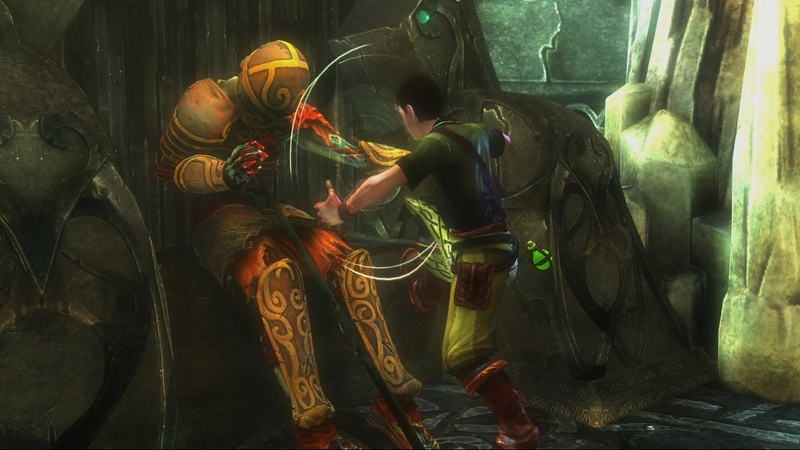 Magic wielding is the central mechanic of the entire game, with everything from opening chests to repairing pathways involving some form of motion gesture. Thankfully, they all feel natural in execution and work to help increase the feeling of immersion. Playing with the Move controller in one hand and navigation controller in the other, I never grew tired of waving my wand to one side to remove a large obstruction from Finn’s path. 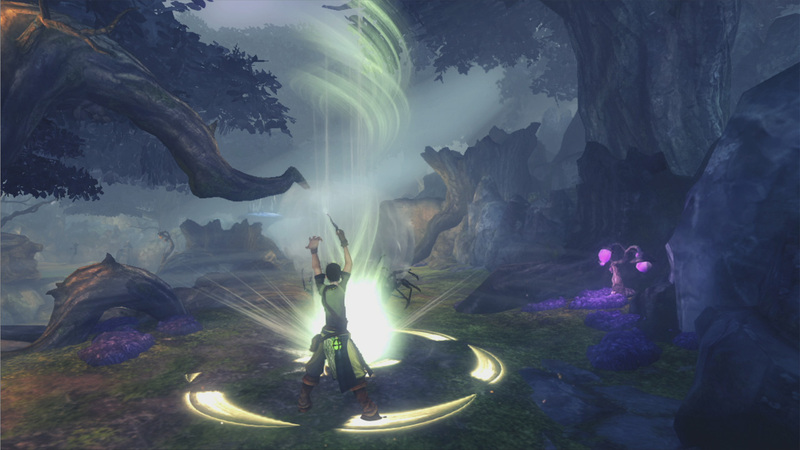 Of all the game’s varied gestural controls, combat-centric spells comprise the bulk of them. They are easy to execute, requiring only a simple flick of the wrist, but difficult to master, partially due to the lack of an accurate on-screen point of reference and partially because you can curve your shots and aim at any point in the environment. There’s enough of an auto-aim assist that you’ll rarely find yourself in a tight spot because of input issues, but it can trip you up when you intend to shoot at one enemy and end up shooting at another. As long as you keep firing, you’ll eventually whittle away every last attacker, so I never found the slightly vague targeting to be much of a hindrance. The problems with gesturing don’t really rear their head until you’ve spent a decent chunk of time with the game. Casting spells never really ceases to be fun, but since many fights essentially become flail fests, I’d sometimes feel my wrists suffering from flick fatigue. I was playing Sorcery under a reviewer’s time constraints, so this could be less of an issue for the average player who sticks to playing in shorter sessions. 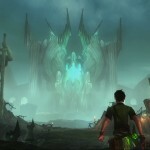 The pacing of the game’s structure does build in a little bit of breathing room for your wrists between encounters. Though the repetitive motions will likely grow physically tiresome, the actual act of switching between and casting spells remains fun and intuitive. 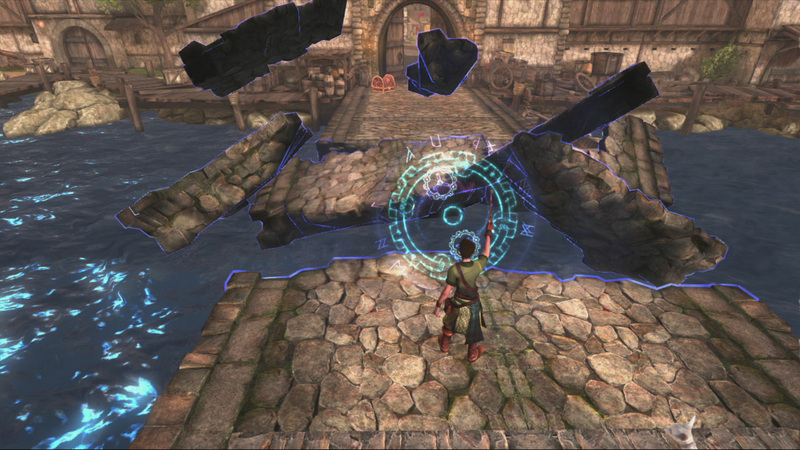 Progression in Sorcery is strictly linear, with the player traversing from area to area, fighting off groups of enemies, and solving light environmental puzzles in between. Treasure chests hide in the nooks and crannies, so venturing slightly off the beaten path is encouraged at every turn, but you’ll never deviate too wildly off course. 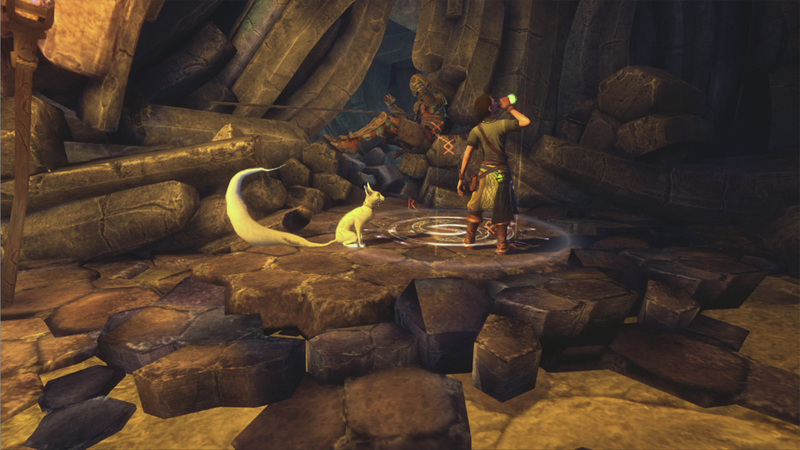 A handful of specific segments have Finn imbibing a polymorph potion and shapeshifting into a rat or bird. These sequences exist merely to move you along from one area to the next, but the animation is fun to watch nonetheless. Boss battles occur at the end of each major area and are well thought out, with each requiring that you use your available spells to determine and exploit weaknesses. New spells and upgrades provide a rewarding feedback loop and a tangible sense that the young apprentice is becoming more powerful as the game presses onward. Blasting pots and statues along the way will provide Finn with gold, which can used to purchase strange ingredients and bottles, which in turn are used to craft potions that enhance his various skills and abilities. An alchemy system makes mixing up these concoctions more interactive, complete with a fun mixing mini-game, but since each new potion requires that you combine the requisite three ingredients, you’ll ultimately spend far too much time in the menus preparing the countless concoctions. By the game’s end, my Finn felt nearly unstoppable thanks to numerous health, defense, and mana upgrades I’d chosen to unlock along the way, a fitting evolution for a tale about a young mage realizing his previously untapped arcane abilities. 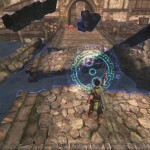 Sorcery is the inaugural release from The Workshop and that shows through in a few weak spots. The game looks and sounds great, sporting lush, colorful graphics courtesy of the ubiquitous Unreal Engine but there is some small degree of tearing and an occasional dip in framerate. Once in a while, I found myself momentarily hung up on the corners of some geometry in the environment too. The camera feels a bit lackluster at times, as the only way to manipulate it is to snap it in place directly behind Finn at the push of a button. With the Move controller used exclusively for spellcasting, they’ve done the best that they could and while the camera tends to autofocus on enemies, I’d sometimes stumble to find my bearings when dealing with larger groups of baddies. None of these issues were showstoppers, but they were minor annoyances that pulled me out of the fantasy temporarily and detracted slightly from my overall enjoyment. 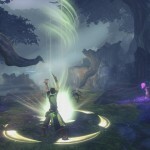 It’s been a long time since Sorcery was first unveiled at Sony’s E3 2010 press conference, before the Move itself was even launched. 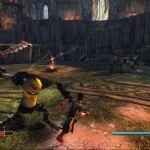 Looking back, that demo seems more like an early prototype, given the end result. Most of the concepts are there, but implementation seems to have been retooled for the better. The extra time has clearly worked in the game’s favor. There’s no replayability to speak of, once you’ve completed the game’s roughly six-hour story, but you’ll have fun the whole way through. As a game, Sorcery is good. As a PlayStation Move game, it’s great. It could arguably be played with a traditional controller, but to do so would miss the point entirely. 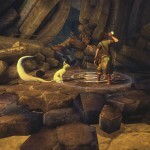 Sorcery is the flagship experience that the Move should have launched with – a shining, albeit slightly flawed example of what can be done with Sony’s answer to motion gaming. 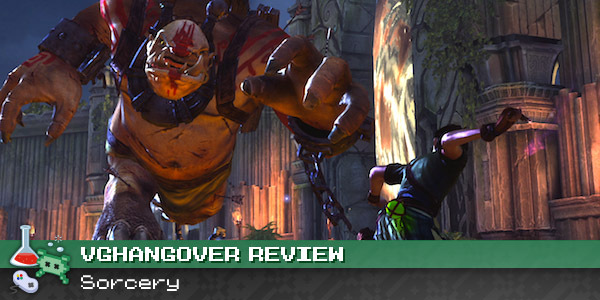 This review is based on a retail copy of Sorcery, provided to VGH by Sony. You had me at talking cats. Well, there’s just the one talking cat, but I’m glad to know you read all the way through.